Here it is folks! My new video for 7Horse's "Two-Stroke Machine" is officially released! Enjoy this touching father/son moto saga as it travels through the empty deserts and mountains of California. Shot beautifully in 4K with RED Cameras and DJI Drones. Our performance footage was filmed at the historic Mates Rehearsal Studios. Be sure to enjoy it in delicious 4K on your device of choice! I have been blessed. The VFX gods have smiled upon me once again, and thanks to Territory Studio, I was invited to Toronto to catch up to the new Batman v Superman Batmobile while it was on a Canadian tour! Territory had teamed up with Facebook to deliver an immersive 360 video teaser to reveal the new Batcave and Batmobile and boy was I lucky to be a part of it as the Photogrammetry Director. We travelled to Toronto where the Batmobile ceremoniously and loudly rumbled into the sound stage. It was there where we put our collective minds together and used methods of photogrammetry and depth sensor scanning to achieve the most detailed scan of the Batmobile as possible. Head over to the Batmobile page to see the results! Hello all! We are super proud to release our latest project that aired during the 3rd quarter of the Super Bowl in Florida! Using a combination of animated stills and high speed vignettes, we illustrated those very special moments of being a mother for Florida Hospital's Life is Amazing campaign. This also marks our second job with BPD Advertising in the sunshine state. 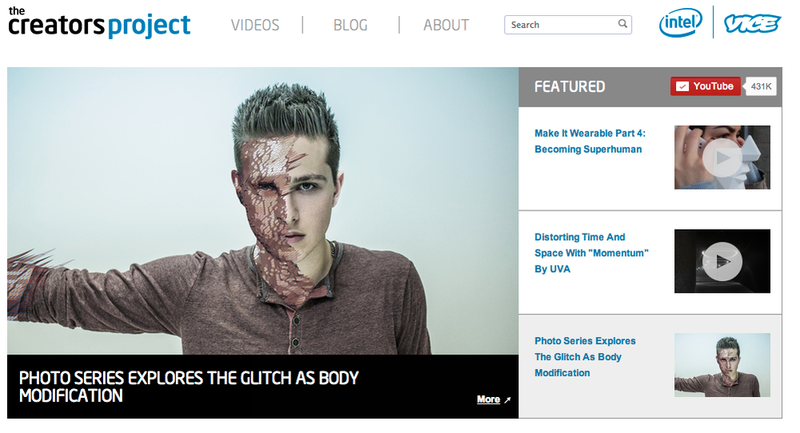 Check out the spot above, and also our stills as well! If I had to imagine my first job with tinygiant, I would have never imagined they involved China and David Beckham in the same sentence but lo and behold, after a few weeks being signed, Veronica, Luca, and the new team headed straight to Shanghai and Shenzhen, China for our first job together! After two wonderful weeks in China, we finished an entire series featuring David Beckham for Haig Club. We created four themed videos with agency AKQA and a teaser on several different topics such as fashion, style, taste and more in the words of the popular footballer. Stay tuned for more David Beckham, but in the meantime, I leave you with our teaser for the series. Andrew Gant Joins NYC Based Production Company Tinygiant! Hello all! I'm excited to announce that I've joined a new company in NYC called Tinygiant, a pint-sized production company that holds a powerhouse of directors and is capable of handling anything production (see also traditional commercials, branded content, digital and experiential content). Tinygiant is the brainchild of Veronica Diaferia, a young producer who has witnessed firsthand the changes in production over the last decade – and knows that the traditional production approach is no longer sustainable. It is also fueled by the industry’s need for problem solvers, knowing that budgets are shrinking, as ideas keep getting bigger. Through collaboration, creativity, and the lack of pressure that comes from not having a high overhead, Tinygiant seeks to not only produce great spots, but to cultivate relationships, and provide results that go beyond expectations. 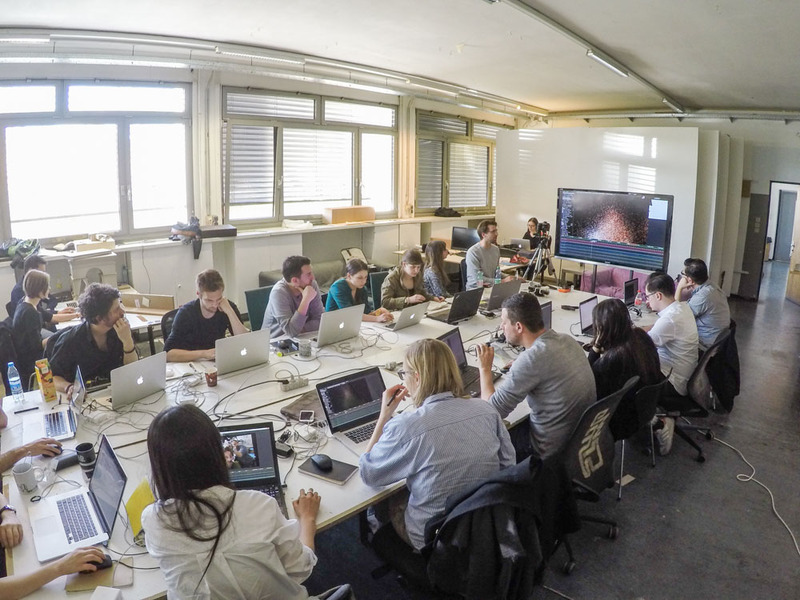 We have just returned from Vienna, Austria where Peter Eszenyi from Territory Studio and I traveled to an architecture school called Studio Lynn to teach students how to create 'Machine Vision.' After completing our work in MILES, Studio Lynn contacted us and informed us that they actually had a class that was exploring the world through the lens of a machine. How do machines perceive the world around us? Of course, this related directly to what we created for the vision of M.A.X. in MILES, so it was a match made in heaven. 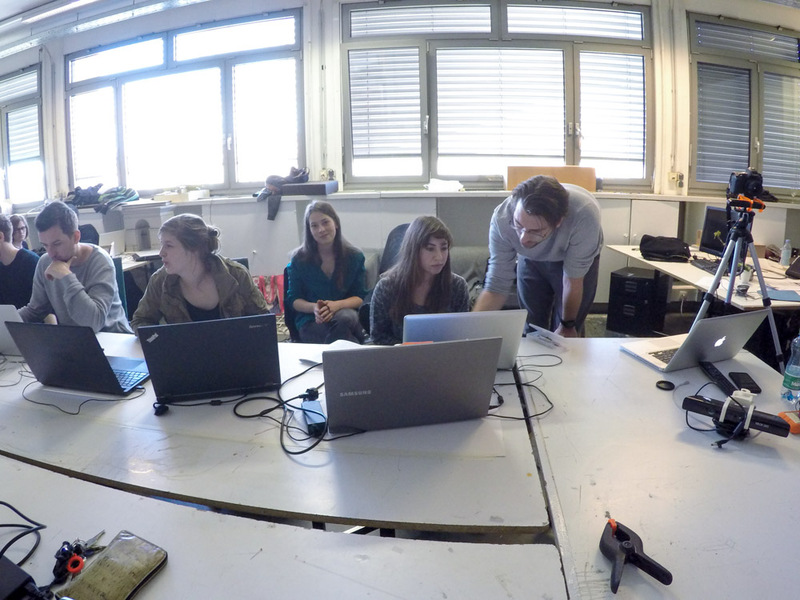 Our workshop was two days long and included a start to finish demonstration on how we created scenes in MILES. 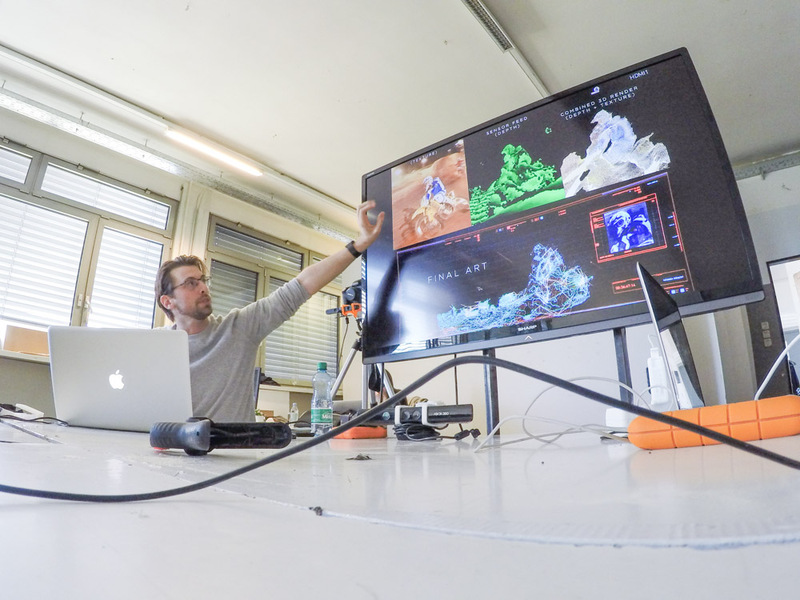 This included a complete introduction to the world of 3D sensors and full demo of the Depth Kit. 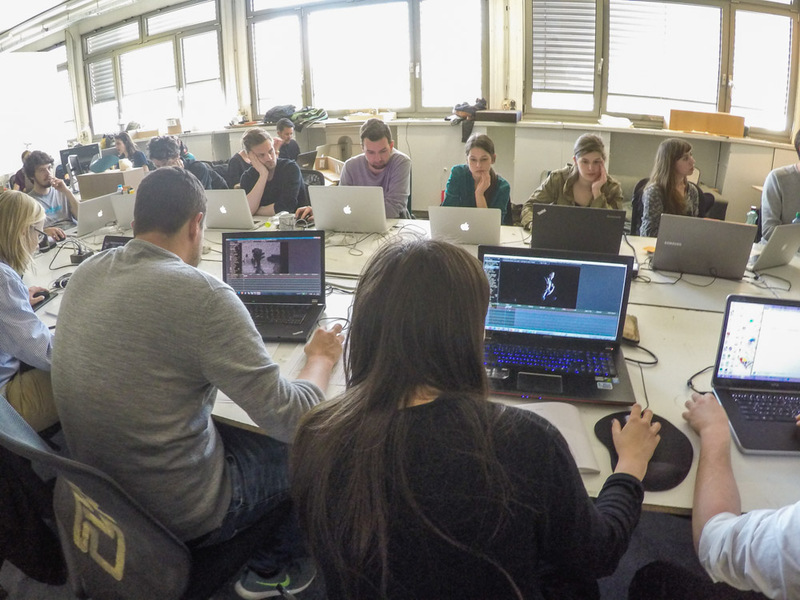 After we had captured our own 3D assets, we then dived into the world of post production, showing the students what they could do with these 3D assets. This included tutorials on Cinema 4D, After Effects, and more. We were extremely honored to be apart of this workshop and look forward to seeing the students' final projects! 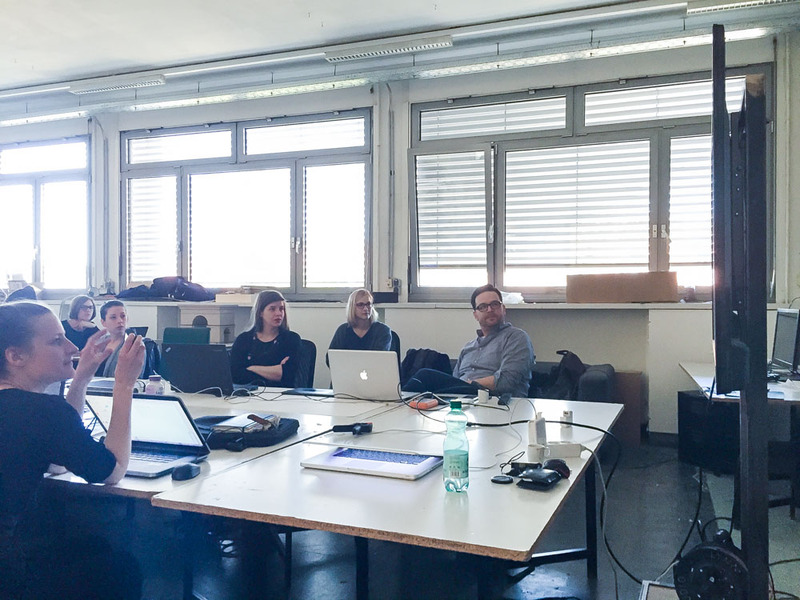 I'm excited to announce that an architecture school in Vienna, Austria called Studio Lynn, has discovered the work that Territory Studio and I have done on MILES. It just so happens that their current class is actually called 'Machine Vision'. In a sense, they are studying what the world may look like through the lens of a machine, which is exactly what we accomplished in MILES. We are preparing for the workshop now, but will post a recap when we return! Proud to announce we have finally completed MILES a short film directed by my friend Oliver Daly. Above you will find our VFX showreel that I completed to show off all the hard work that went into making this. The feature film version is already well under way, so stay tuned in the future for more. I was fortunate enough to do all the VFX Photography on this, and after, the assets were sent to Territory Studio in London, where they brought them to life through beautiful motion design and graphics. You've seen their amazing work in Guardians of the Galaxy, Prometheus and more. If you crave more check out my MILES page here. eBay - Stories of Impact: Part 1 Completed! My first spot for the eBay/Paypal Stories of Impact series is complete! In this first spot, I profiled the amazing story of one man who sold everything he owned on eBay in order to pursue his dream of traveling the country in his van and cycling. This man is Nick Martin, and he is now the founder of one of eBay's largest online cycling stores, The Pro's Closet. Enjoy! I returned to my home away from home to shoot one night of the prestigious concert series at the beautiful Sunset Marquis. LIVE is a summer concert series held by the pool every other friday night at the hotel. It's goal is to give back to the industry by profiling new artists through a hip, fun, and exciting night of acoustic jams. Last year, PSE completed a full montage of LIVE 2013 that profiled over 20 different artists at the event. Enjoy the video we put together for our one night out featuring Clare Reynolds, Emmanuel Jal, X Factor's Alex and Sierra, andDowntown Judy Brown! It is done! My new video for American rock and blues duo 7Horse, whose previous song "Meth Lab Zoso Sticker" was featured in the Martin Scorcese film The Wolf of Wall Street . The Flying High video was inspired by a real event that the band experienced while dealing with TSA on tour. Enjoy! Indie Rockers 7Horse and I have collaborated with on a video for their new single "Flying High (With No ID)" which retells a interesting experience they had going through the TSA on tour. 7Horse, whose last single was selected by Martin Scorcese for inclusion in his masterpiece "The Wolf of Wall Street" are aiming high with this next single - literally! Check back for details on the video's premiere. I the road again to Boulder, Colorado and West Plains, Missouri for two films that captured the essence and importance of e-commerce giants Ebay & PayPal and how they are the de rigueur for businesses. Highlighting two such businesses THE PRO'S CLOSET in Boulder (a cyclist's go to mecca for used parts and accessories) and COUNTRYSIDE PET SUPPLY in West Plains (one of the country's leading distributors of pet medicines and supply items), award-winning cinematographer Mego Lin and I captured some incredible footage. The two films will be available online soon. So excited to announce that The Creators Project has profiled our series DATANATURAL. Check out the article here. And if you havn't seen our pics yet, head to the photo sections! My new friend Photographer Melissa Castro and I put our heads together to push the Xbox Kinect envelope even further in a conceptual glitch style photo series called DATANATURAL. Using the Xbox Kinect enabled us to scan each subject and turn them into a 3d model instantly. 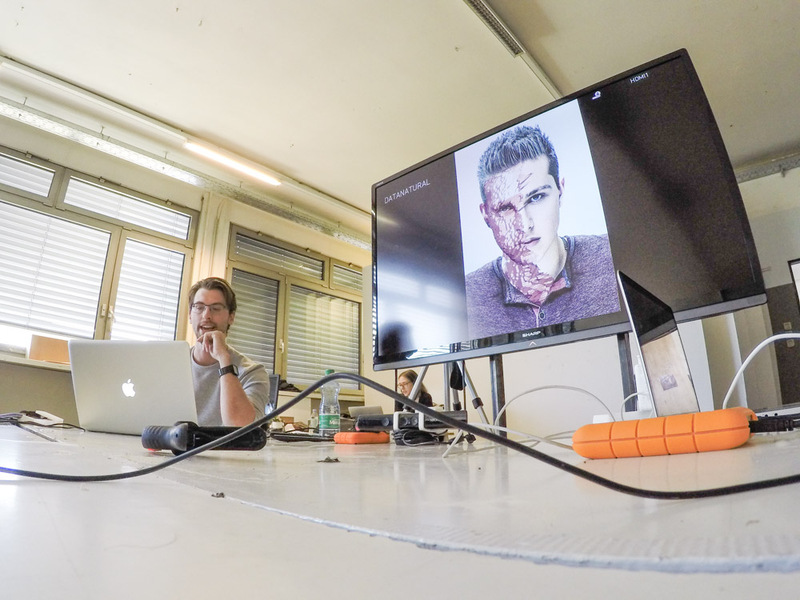 After this, we would tweak the data obtained from the Kinect and then overlay it back over the photograph. Andrew Gant first began his obsession with the Xbox Kinect when he discovered the amazing software/hardware combination called RGBDToolkit. He first used it for Exist Elsewhere’s first music video Tokyo, where he projected light portraits all over the streets of Los Angeles. After this, he transported himself into a metaphorical video game to illustrate Microsoft’s new interactive storytelling vision for the Xbox One Kinect. Recently, Gant used it in the upcoming movie short “MILES”. For this photo series, Gant wanted to take the same calibre of work he’s done in the past for video and apply it to the higher detailed resolution world of photography. One night, Gant was introduced to “Phracktographer” and photographic genius Melissa Castro by James George, a founder of the RGBDToolkit. After beer and pizza in downtown Los Angeles, Gant and Castro decided that they were both headed in the same direction and were ready to join forces and push their art forward. Check the entire series HERE. Johnnie Walker: LA + Miami Complete Production! Honored to finally complete my first series for Johnnie Walker with agency Adrenaline. Together we have now completed 7 beautiful spots profiling distinguished people who define themeselves by where they are headed, instead of where they stand. Head over to my portfolio to see them all! Returning to my love of using the RGBDToolkit, I’m collaborating with writer/director Oliver Daly to help bring the eyesight of a mysterious creature to life for the upcoming movie short titled “Miles”. The Kickstarter project for Miles was launched last week and is already halfway funded. So get involved quick and jump on board to get your perks plus see this wonderful story come to life! In my past projects, I’ve been using the Xbox Kinect as a marker-less motion capture device for music videos and other special effects projects. Now, I’vejumped on board with writer/director Oliver Daly to help bring the eyesight of a mysterious creature to life for the upcoming movie short titled “Miles”. MILES is a movie about blurring the boundaries between humanity and technology, set in the off-roading world of Central California. Miles, a teenage dirt bike rider has stumbled upon Max, an infant specimen of the most advanced military creation in history. The creature quickly develops into something highly intelligent and nearly unstoppable. Creed frontman Scott Stapp hasn’t been shy about past battles with depression, alcoholism and drug abuse, culminating in two near-death experiences. In the world premiere of “Slow Suicide,” the first video off his solo album Proof of Life, the singer revisits painful memories from both childhood and adulthood first elucidated in his 2012 autobiography Sinner’s Creed. Directed by Andrew Gant and shot in an old abandoned Los Angeles hospital, “Slow Suicide” shows Stapp in various life stages of distress, including physical abuse as a child and arrests and near-death experiences in hospitals as an adult. Proud to announce my next step with ad agency Adrenaline. Together we created three mini documentaries for the Johnnie Walker, Next Step campaign. These inspirational pieces profile three amazing individuals who embody the Johnnie Walker spirit perfectly. These include legendary football coach Bill Cowher, cancer survivor and Mt. Everest climber Sean Swarner, and CareerGear owner Gary Field. The next step. That’s the one that matters. it lets you define yourself by where you’re headed, instead of where you stand. The next step is waiting, but there’s only one way to see it. Keep Walking. Our director Andrew Gant continues his journey with the Microsoft Kinect, where he travelled to Microsoft to interview the wonderful Shannon Loftis, who is the new General Manager of Xbox Entertainment Studios, a new division of Microsoft that is creating exclusive interactive television for Xbox One owners. 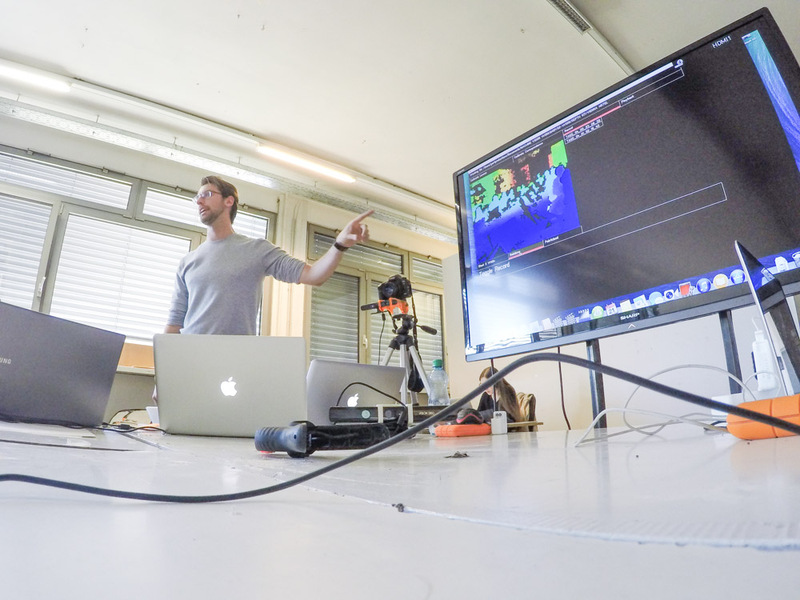 As a part of the Future of StoryTelling Conference, Andrew profiled Shannon’s vision on Approachable Immersion, that centers around “full-body motion”– reading the movements, facial expressions, and even the heartbeat of the player. Merging the mediums of television and gaming creates freedom for a new kind of gamer—because there are no handheld controls, the player is physically integrated into the game, without any unnatural barriers to exploring the story. The player can deeply engage and fully immerse himself into the narrative, letting natural curiosity guide his progress.